LOL too funny! Grampas Honey is now selling nucleus hives with a selection of bee races to pick from, including stock with a Grampa’s Gourmet “Old School Survivor” Queen. The underlined part is the part that got cut off on my receipt. This is a fantastic opportunity, and one that won't last long. If you're in CO and in need of bees, go buy your bees and then come back to the Backyard. I need your opinion. There are many Advantages of a Nucleus hive, but there's only one supplier I know of making up Top Bar-style nucs. Melanie Kirby's breeding survivor stock, so her nucs are the ones to get, but I've been questioning if a) bees from 300 miles away count as "local," and b) if driving 300 miles with bees in the car is a good idea. So we're very excited to be getting some of "Grampas ol school survivors," even if they are on frames. Our new bees will arrive in Denver from Alamosa, late April. Here's where I need your opinion. Grampas Honey's nucs are 4-frame Langstroth-style deeps with solid bottoms. The frames won't fit inside either of our empty hives. We have 4 months to figure out how to move the bees from a framed hive to a Top Bar Hive. Do we go with the "easy way" or the "chop and crop" way? Another way? Take a look at these inspirational videos and tell us which method you think we should use. Moving bees from frames to a top bar hive using the "chop and crop" method. FWIW: Both methods would make for a good future post. The easy way involves procuring Langstroth equipment: a nuc or hive body, possibly a queen excluder, a nuc intro board, a follower or extra frame(s) of some sort, the uses of which would all be shown in a post. The chop-n-crop method requires no additional parts (no fabrication and no purchases at all) but would sure make an interesting post because the manipulation could be a sting-fest! Thoughts? So happy to find your blog. I'm just starting my first hive (a Langstroth), but I'm very interested in TB's for future investments. I'm looking forward to reading more of your posts to see if they fit my situation and requirements. Good luck with your season! @Laurie Thanks for wishing us luck! We jumped into TB-beekeeping feet first, so the nuc will be our first experience with Langstroth-style equipment. 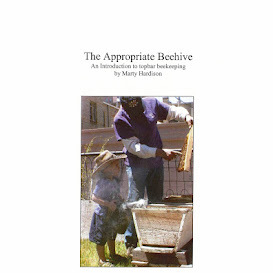 Some beekeepers seem to have a problem accepting one or the other style, so it's good to hear you've got an open mind. Good luck with your bees this year!